Experts say Iran is busy acquiring the technical know-how to launch a cyber-attack on the United States and its allies. Iran is busy acquiring the technical know-how to launch a potentially crippling cyber-attack on the United States and its allies, experts told a congressional hearing on Thursday. “Over the past three years, the Iranian regime has invested heavily in both defensive and offensive capabilities in cyberspace,” Ilan Berman, vice president of the American Foreign Policy Council, was quoted by AFP as having told a House Homeland Security subcommittee. Patrick Meehan, Republican chairman of the committee, also sounded an alarm over the cyber-security threat posed by Iran to western nations, according to the report. “As Iran's illicit nuclear program continues to inflame tensions between Tehran and the West, I am struck by the emergence of another possible avenue of attack emanating from Iran -- the possibility that Iran could conduct a cyber attack against the U.S. homeland,” Meehan said. 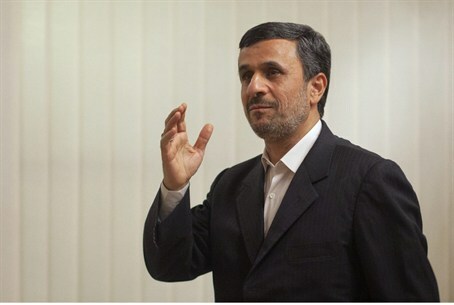 He added that Tehran has reportedly invested over $1 billion in bolstering cyber capabilities, and is believed by some analysts to be the perpetrator of recent attacks on news organizations. “Iran is very publicly testing its cyber capabilities in the region and, in time, will expand its reach,” Meehan warned. The report comes several days after Iran confirmed that a cyber attack hit its Oil Ministry data systems. It claimed there was no damage. Experts on the panel said Iran's desire to target the United States could be fueled by a desire for payback after the 2010 Stuxnet worm attack, which disabled the Iranian centrifuges used to enrich uranium. The Stuxnet attack is widely believed to have been an Israeli cyber-attack, but Israel has not admitted it.